The University of Colorado – Denver’s Dr. Elizabeth Connick will succeed Dr. Stephen Klotz in April as chief of the Division of Infectious Diseases, bringing a broad research portfolio on HIV and AIDS prevention to the University of Arizona College of Medicine – Tucson. Arthur F. Gmitro is a very busy man. A professor of medical imaging in the UA College of Medicine – Tucson with a joint appointment in the UA College of Optical Sciences, he holds the Margaret E. and Fenton L. Maynard Chair in Breast Cancer Imaging and also is head of the UA College of Engineering's Department of Biomedical Engineering. Flu season has arrived, making the work of one University of Arizona researcher important to everyone. Jun Wang is developing new, effective treatments for the influenza A virus. UA research team studying the anti-inflammatory impact of turmeric is moving the project out of the laboratory and into patient testing. A team of researchers from the University of Arizona Mel and Enid Zuckerman College of Public Health and El Colegio de Sonora will conduct research to focus on the prevention of cardiovascular disease and its complications among adults with diabetes in Northern Mexico. Eliminating free radicals via anti-oxidative therapies in your diet doesn’t automatically equate to better health as it shifts the dietary balance to so-called “reductive” stress that can lead to inflammation with negative cardiovascular outcomes, particularly for men, UA researchers say. Chronic pain affects more Americans than cancer, heart disease and diabetes combined, but medications widely used to treat chronic pain can lead to overuse and addiction, killing nearly 15,000 Americans annually. Drs. Mohab Ibrahim and Amol Patwardhan are applying what they have learned through their research on chronic pain to safer, more effective patient care. 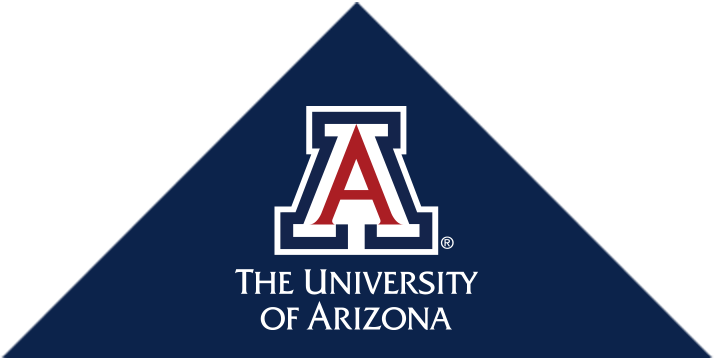 Researchers at the University of Arizona Mel and Enid Zuckerman College of Public Health and UA College of Engineering will lead a firefighter safety study in partnership with the Tucson Fire Department to reduce cancer risks among first responders and investigators. Membership in the National Academy of Medicine—established originally as the Institute of Medicine in 1970 by the National Academy of Sciences—is considered one of the highest honors in the fields of health and medicine and recognizes individuals who have demonstrated outstanding professional achievements and commitment to service. Banner – University Medical Center Tucson and Banner – University Medical Center Phoenix were among 49 trauma centers that participated in the NIH study ProTECT III (Progesterone for Traumatic Brain Injury, Experimental Clinical Treatment). In his new role, Allison will support opportunities to rapidly transform AHSC’s scientific discoveries and emerging new technologies into diagnostic and therapeutic ‘product solutions’ that seek to transform health care. Two recent faculty additions at the University of Arizona College of Medicine – Tucson’s newest department, Otolaryngology – Head and Neck Surgery, have teamed up to pursue innovative research to treat airway disorders like cystic fibrosis (CF) and allow patients – often children – a chance at a better life.